If you've never made Chinese west lake beef soup before, this easy-to-follow recipe will serve you well. Making homemade soup allows you to cut out some of the harmful ingredients used in restaurants, such as salt and MSG. You can also tweak the ingredients to your liking. 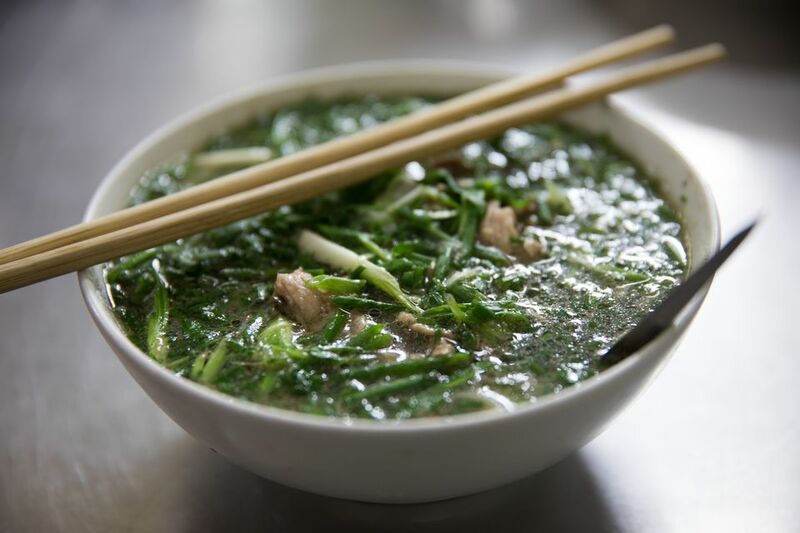 For example, instead of garnishing the soup with green onions, feel free to stir in fresh coriander leaves (cilantro) to taste. If you're congested, have the sniffles or are generally feeling rundown, soup is a great pick-me-up. The broth can combat congestion, and if you have a cold or flu, it can help you stay hydrated. Try adding a dash of hot sauce to your cup, as the kick can do wonders for a stuffy nose. In a medium bowl, add the seasonings to the ground beef, adding the cornstarch last (use your fingers to mix the cornstarch). Get the leanest cut of ground beef available at your supermarket to avoid eating extra fat. Marinate the ground beef for 15 minutes. While the beef is marinating, bring the chicken stock or broth to a boil. Buy a low-sodium broth if you have hypertension or a similar health problem. Stir in the marinated ground beef, using chopsticks to break up any lumps. Look for chopsticks in your supermarket if you don't have any. You may need to visit a Chinese market or order them online if you can't find chopsticks locally. Add the sugar and pepper. Bring the soup back to a boil and turn down the heat. Then simmer for a few minutes to allow the ground beef to cook. Taste and add extra salt, if needed. Garlic powder is a great substitute for salt if you want more flavor but less sodium. If desired, add the extra 1 1/2 tablespoons of cornstarch mixed with water and stir to thicken. Very slowly pour in the egg whites in a steady stream. Use a fork to gently stir the eggs in a clockwise direction until they form thin streams or ribbons. Garnish with green onion and serve. Get our favorite recipes and learn cooking techniques from around the world.